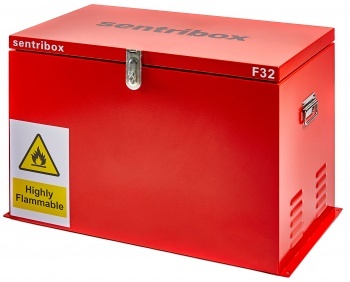 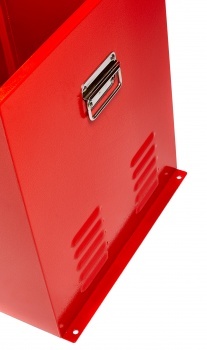 A popular small COSHH box in our range keeps the same distinctive appearance and finish. 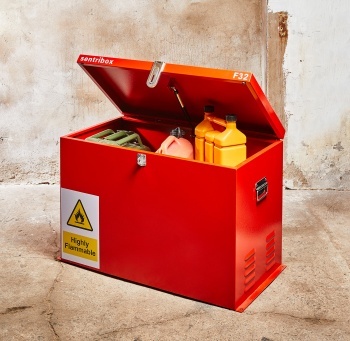 Designed to keep all chemicals and flammable liquids safe. 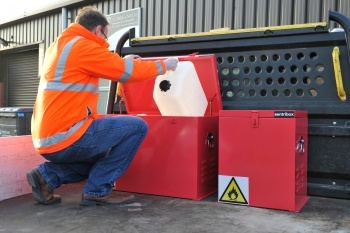 Used throughout the UK in offices, public places, vehicles, in fact wherever anything from cleaning fluids to flammable liquids need keeping out of harms way. 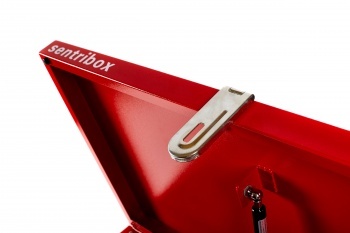 Proven durability and good design. 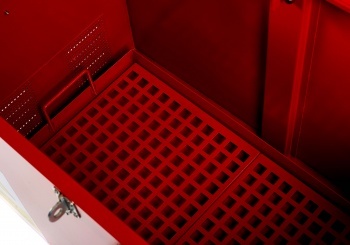 Drip tray, warning sign and a host of other features included as standard in the price Supplied with hasp and staple for locking with any padlock (not supplied).